Scroll to the bottom of this page to see photos and videos from our performances and exhibitions, and for song lyrics to help prepare for future performances. 2018-2019 is another exciting year for the Arts at St Joseph’s. Here are some of the projects that we will be taking part in. There will be much more besides! 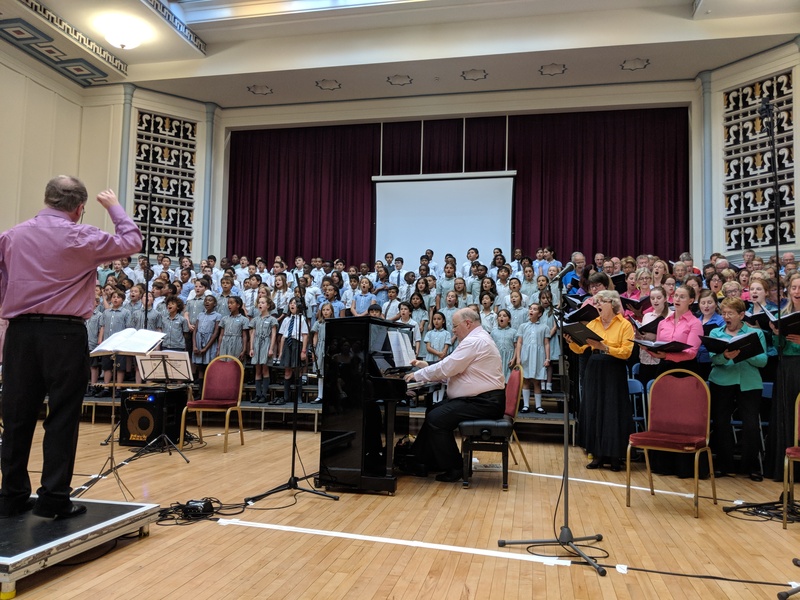 Once again, Years 4 & 5 are taking part in a fantastic, year long, project which will culminate in Year 5 appearing as guest performers with The Bach Choir. The Bach Choir is a very prestigious choir (and one which Mrs Wiles used to sing in!) which was formed in 1876 to give the very first performance in Britain of JS Bach’s Mass in B Minor. The choir continues to sing around the world in first class concert venues, they also record soundtracks for films such as Shrek the Third and Prometheus, as well as recording classical pieces of music. We are very lucky to be able to work with The Bach Choir. 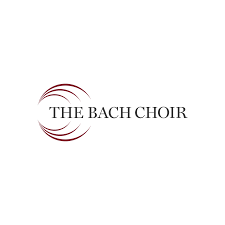 Years 4 & 5 will take part in workshops with members of The Bach Choir throughout the year and Year 5 will take part in a Bach Choir concert on Friday 14th June 2019, singing alongside children from other Tri-Borough Primary schools, members of The Bach Choir, and a professional band of musicians. Scroll down to find out about last year’s project. The concert is open to the public and tickets can be purchased from The Bach Choir’s website (click HERE) Each child taking part in the concert will be given a free ticket for a family member or carer to be in the audience. Any extra tickets will need to be bought from The Bach Choir. Parents and children not taking part in the concert are very welcome to buy tickets and to attend. Song mp3 tracks can be found at the bottom of this page. Year 5&6 Choir will be singing carols in Peter Jones at 2pm on Friday 7th December. The following week, Year 3&4 Choir will be singing carols in Peter Jones at 2pm on Wednesday 12th December. It would be great to see some friendly faces in the store. 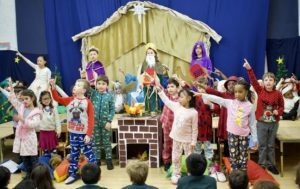 30 children in Key Stage 2 will take part in the annual RBKC Christmas Festival, held at Kensington Town Hall on Friday 14th December 2018. Scroll to the bottom of the page to see our video diary from 2016’s festival. Each child taking part will receive a ticket for one family member or friend to watch the festival. Our annual Carol service takes place on the last day of term, Friday 21st December. Everybody is invited to celebrate Christmas with the whole school at St Mary’s Church at 10am. The children will be designing their own Christmas artwork which will be available to buy as cards, mugs, tea towels etc. We will work with Class Fundraising as we did last year to bring you high quality products in good time! The children will also enjoy a festival performance by The Globe Players towards the end of term. Our five fantastic instrumental teachers are in even greater demand than ever and this year will deliver lessons in flute, piano, drum kit, violin, and guitar, to 79 children in Years 1-6. There are a few spaces left for drum kit lessons. There is a waiting list for all the other instruments. If you would like to enquire about instrumental lessons, or be added to the waiting list, please email music@stjosephs.rbkc.sch.uk. Please note that spaces to begin lessons usually only arise in September. We were asked to pilot a new resource created by the ABRSM (the Associated Board of the Royal School’s of Music – also known as the instrumental exam board!). Classical 100 has been created to introduce and explore classical music in the classroom. It features 100 pieces of classical music, chosen across a range of styles, genres, and centuries. Each piece has a challenge for students to complete, often based on composition. St Joseph’s was recommended by the Tri-Borough Music Hub as a great school for the ABRSM to work with to trial their new resource and to film it being used. Years 1 and 4 took part in a special day of Music lessons which were photographed and filmed and feature in the promotional material shared by the ABRSM. The Arts are an important part of life at St Joseph’s. 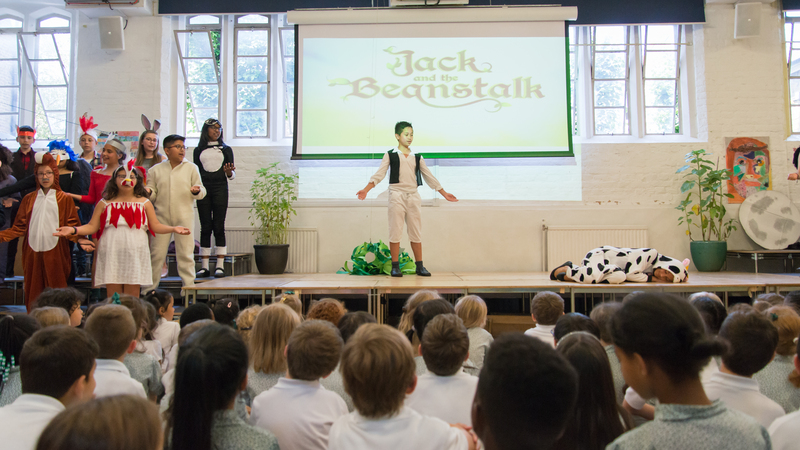 All children from Nursery to Year 6 enjoy spending time each week immersed in Music, Art, and Drama, and take part in concerts, productions and other performances throughout the year. Our Leader of the Arts is Mrs Wiles who is also our Music Specialist Teacher. All classes have weekly Music lessons with Mrs Wiles in addition to weekly hymn practices. In class Music lessons children will learn vocal and instrumental skills, develop their musical vocabulary and ability to read music, use their analytical skills whilst taking part in focused listening activities, and create their own compositions. 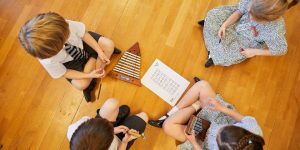 Children in Foundation Stage and Key Stage 1 work with a variety of tuned and untuned percussion. Children in Year 3 learn to play the recorder, Year 5 the ukulele and Year 6 samba drums. Year 4 work with a variety of tuned and untuned percussion and other instruments. In addition to whole class lessons, we offer 1 to 1 instrumental lessons with our experienced and talented team of instrumental teachers. These very popular lessons take place during the school day. We offer lessons on piano, drum kit, flute, violin and guitar. Children taking lessons perform to an audience of peers and parents at the end of each term. There is also a school orchestra which children who learn violin, flute or guitar are invited to join when their teacher considers them ready. In addition to the orchestra, there are two school choirs who rehearse throughout the year. There are also three smaller choirs; in the Autumn term a group of Year 5 & 6 children take part in the RBKC Carol Service, in the Spring term a group of Year 1 & 2 children perform in the Tri-Borough Hub’s Infant Voices festival, and in the Summer term a group of Year 4 & 5 children perform in a concert with The Bach Choir, the culmination of a year long project. 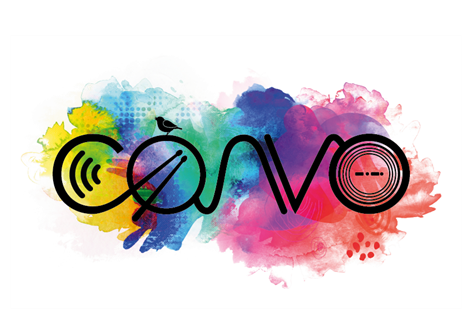 Annual large scale performances include the EYFS and Key Stage 1 Nativity, our Carol service, a whole school Summer Concert, and the Year 6 Leavers Musical. Other performances regularly take place such as the termly instrumental concerts, Bach Choir outreach project, carol singing at Peter Jones, singing and playing to the Chelsea Pensioners at the Royal Hospital, and many more besides. We work closely with the Tri-Borough Music Hub and make the most of the opportunities they provide. We attend performances at venues such as the Royal Albert Hall and the Royal College of Music and have visitors in to school as well. Pupils are given the opportunity to develop the skills of observation and perception and to use a variety of media and techniques in Art and Design and Technology. 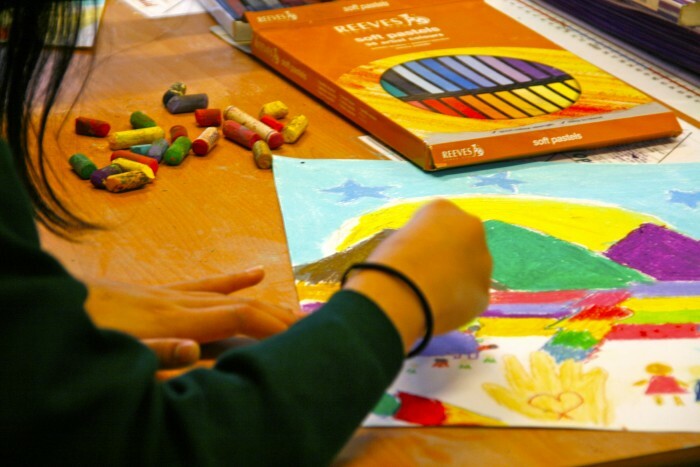 Pupils practise and develop their artistic skills and abilities in art lessons and other areas of the curriculum. They are introduced to a wide range of artistic materials, tools and techniques. 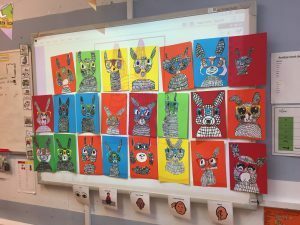 Pupils have the chance to study the work of great classic and contemporary artists and to try out the various techniques they have learned about. Design and Technology is taught through activities that are intended to teach pupils to apply and improve skills required to solve practical problems. We use off-site visits and visitors to the school to further enrich our pupils’ knowledge and understanding of their class topic. 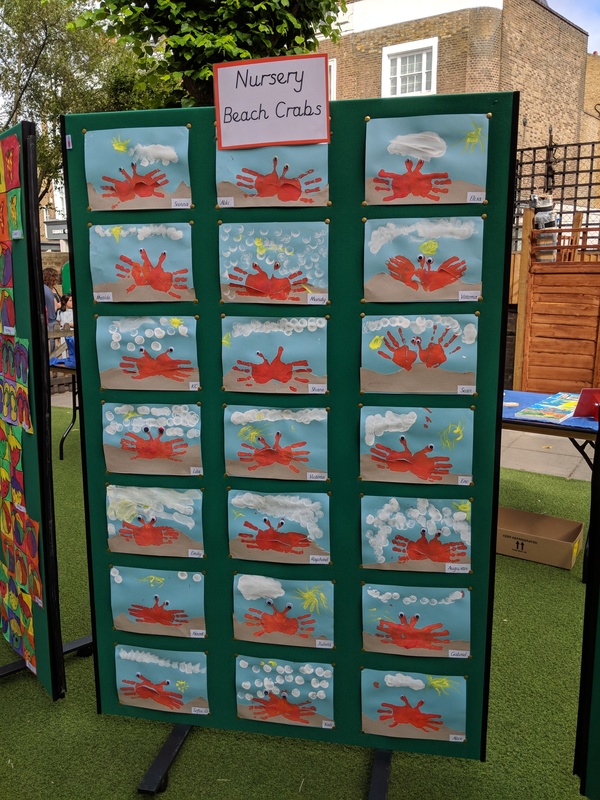 We have a lot of success when entering children’s art work for competitions and regularly have artwork published in calendars, exhibited in galleries and in the windows of Peter Jones. Drama is taught by class teachers and is woven through the curriculum, not least through Literacy initiatives such as ‘Readers’ Theatre’ and ‘The Power of Reading’. Classes give termly assemblies to the whole school and parents meaning that every child has an opportunity to deliver a few lines on their own to a large audience throughout their school life. Year 2 take the lead in our much enjoyed annual EYFS and Key Stage 1 Nativity performances, acting out the story of the birth of Jesus through drama and song. Likewise, Year 5 perform a moving Stations of the Cross at the end of each Spring term. 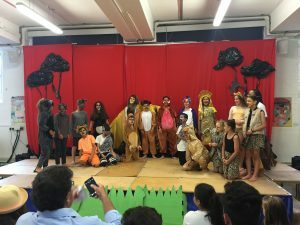 The end of the Summer term sees Year 6s turn to put on a musical to the school and parents.